Open Pool sessions provide a three-hour window to practice a variety of skills in the comfort and safety of a warm water environment. Life guards are on duty, the time is non-structured, and paddlers are encouraged to participate in self-focused learning. 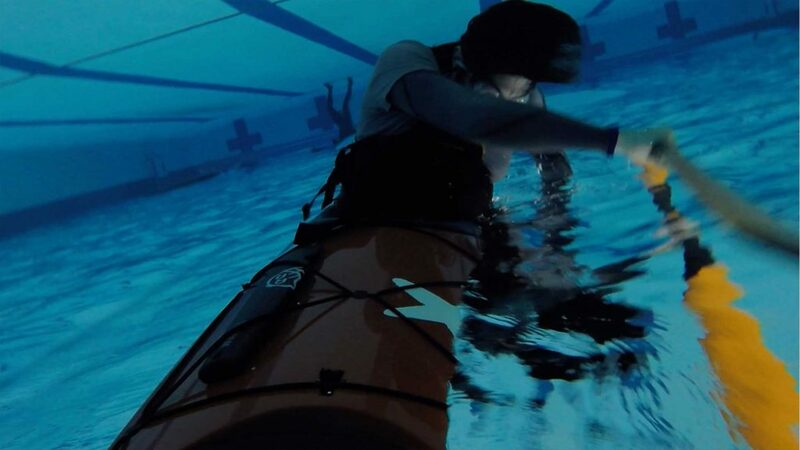 Whether the desire is to practice rolling, sharpen rescue techniques, or just hang out and socialize, the open sessions are great way to be on warm water during the colder months. – Equipment is not included but can be rented for $50 per session. Our rental equipment includes high quality, comfortable sea kayaks, neoprene skirts, carbon paddles, and lightweight life jackets.